You are currently browsing the Archaeofacts.com archives of Musings for the day Saturday, September 17th, 2011. 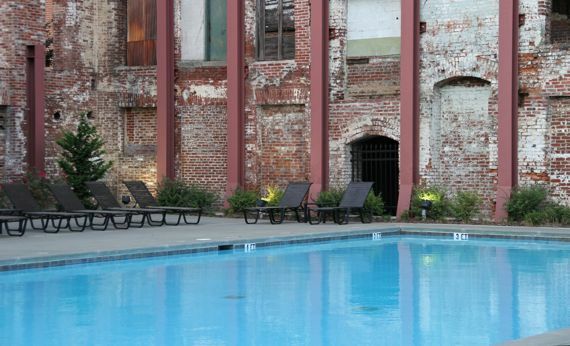 Right in the middle of the former Fulton Bag and Cotton Mills, the developers dropped in an outdoor natatorium—an amenity for residents of the factory-turned-housing complex of today. The weather has turned cool enough that at dusk on this Saturday night not a soul was swimming or socializing poolside.